It's Valentine's Day in the Dumping Ground and Tracy Beaker is very scornful of all the fuss made about cards and presents...until she gets one herself! Weedy Peter has decided he wants Tracy to be his Valentine and he's given her his beloved nan's treasured gold locket. Tracy is over the moon - it must be worth a fortune! What could she sell it for...or swap it for...? 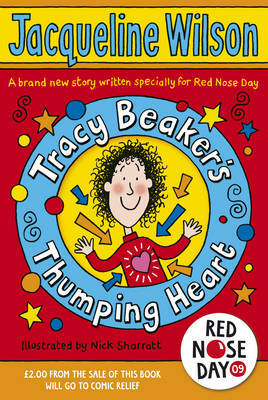 Follow Tracy in this special Comic Relief adventure as she heads for fame and fortune. Will she swap Peter's locket live on TV? And is it possible that Tracy herself might lose her heart...? One of Britain's bestselling children's authors, with over 25 million books sold, Wilson is a former Children's Laureate and creator of Tracy Beaker.